Tags: Coaching, Coaching models, GROW, What is Coaching? I am frequently asked about what form my coaching takes. My usual response is to ask more questions, as there are so many different factors involved in the coaching process. These will be influenced by the individual, their circumstances and the type of coaching they are looking for. That said, whether I am coaching one-to-one or in group/workshop sessions I will usually follow the GROW Model, or some variation of it. GROW is an acronym for Goals, Reality, Options and Way forward (or Will). The model was first used by Graham Alexander in the late 1980’s before being refined and made more widely known by Sir John Whitmore in his 1992 book Coaching For Performance. This model provides a structured framework which helps to set powerful goals and also enables an effective problem solving conversation. Once a coaching topic has been agreed upon by coach and client, the most important first step in the process will be the setting of end goals. Clear, clean and powerful goals need to be in place for the coaching process, and also for each individual session along the way. I have discussed goal setting in more detail in a previous blog post, but they should be SMART: Specific, Measurable, Agreed, Realistic and Time-framed. The Reality stage is the ‘now’ in the process. How far away are you from the end goal, and how far have you already moved towards it? At this point it is essential that time is taken to better clarify the goals and engage with them. What knowledge or resources do you already have? Where can you get additional knowledge or resources? Can the obstacles in your way be minimised? Have you dealt with any similar obstacles in the past? How might someone who could deal effectively with such an obstacle go about it? At the end of this stage there should be one or more agreed options to take on to the Way forward. At the final stage, goals will be firm. The’ reality’ stage will have defined a need and we will have chosen options to put into action movings towards achieving the goal. Along the way it is the coach’s task to help the coachee recognise WHAT they are going to do and WHEN they are going to do it. We will consider HOW these actions will get the coachee closer to their goals and WHICH obstacles need to be overcome. 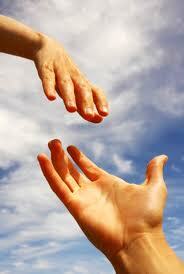 It is also important to establish WHO they can ask to help with the journey. Any internet search will produce other coaching models and even other variations of the GROW model. I have a preference for this model because it is flexible around specific needs. It also starts with a rigorous goal-setting stage before committing to clear action steps for achieving those goals. This posting was edited, updated and reposted on 13th May 2015 as part of the Mindful May series. Last December a Tweet from Stephen Fry alerted me to the wild idea that was coming together in the UK publishing domain. An organisation calling itself World Book Night was planning to give away one million books around the country. To achieve this they were looking for 20,000 givers to apply for a share of the books from a list of 25 titles. My choice was the wonderful Cloud Atlas by David Mitchell. The application was successful and I duly collected my boxes of books from our local Waterstones bookshop. Books and reading are, in the words of Dorcas Lane, “my one true weakness”. I have always been passionate about reading, whether for fun or to learn new things. Of course those outcomes often go hand-in-hand in a great book. Fast forward to last Friday the 4th of March. 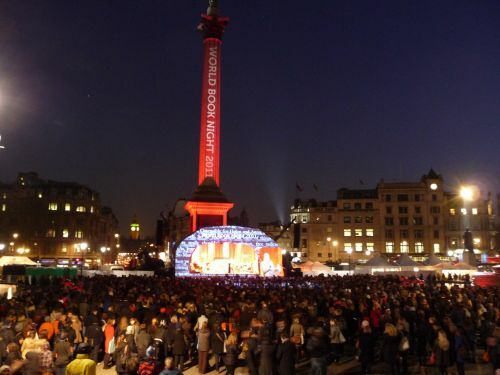 10,000 people filled Trafalger Square for the launch of the inaugural book night, which was to take place on Saturday. We stood in the freezing cold whilst Graham Norton introduced us to one famous author after another, who read sometimes from their own works and sometimes from the works of others. My personal favourites were Phillip Pullman’s glorious reading from his book Northern Lights, Margaret Atwood’s moving reading from her book The Blind Assassin and Alan Bennett’s inimitable reading from A life Like Other People’s. At the end of a wonderful evening we each gave away the first of our books, which resulted in a memorable scene with complete strangers giving and receiving books in a great atmosphere of smiling and sharing. This was at the heart of the whole project. The sharing of books and the willingness to give and receive new knowledge and varied emotions relayed through the printed word. I have always believed that the writing process is not complete until the reader engages with the text on the page and brings the book to life. -Alan Bennett at Trafalgar Square. The publishing world is on a knife edge now, with reading technology and internet marketing changing the face of literature forever. I fear that the publishers have yet to grasp the potential for good in this and to drive the change forward in a positive way. Young writers and new works are emerging at a frightening pace. Young people must be encouraged to embrace reading and to develop a love for books in whatever form they represented. There is a real danger that ‘commercial’ writers and their books will dictate the quality of the literature produced. Current trends in this are not always for the best, in my opinion. I am heartened to read many examples online of young, would-be writers sharing their work and learning their craft the hard way. I will add some links at the end of this blog for you to take a look at their efforts. Back to World Book Night itself. On Saturday I set off for my local health club with my books all numbered and ready to give away to all the gym goers and staff. Many people turned up because they had read an article which the local newspaper had printed about what I was doing. Again, there were so many smiles and lots of grateful and supportive comments. Remember, a book is for life, not just for World Book Night. Read your books and pass them on with a little of the joy you may have found in them. Too busy to read? Make time for it. It is a great way to relax, to feed your mind, and to let you imagination run free. Tags: Coaching, What is Coaching? Or – Tell me what you want, what you really really want. In my blog post ‘What is Life Coaching?‘ I talked about how we live in a rapidly changing world and how it can generate a feeling of helplessness when we are not in control of our own path through the craziness! The job of the Life Coach is to be your guide on that journey. The first thing we must establish are the goals, so that your journey has a destination. To begin with the end in mind means to start with a clear understanding of your destination. It means to know where you are going, so that you better understand where you are now and so that the steps you take are always in the right direction. Without Goals we cannot be in control of our own destiny and we will tend to drift from crisis to crisis on waves of uninspired intuition. Once we set some goals we have purpose, drive and we can make good choices. We can start to develop our own path towards happiness and fulfilment. These goals must not be vague or woolly. So often when we ask anyone what they want the first response we get is a list of what they DON’T want! We need to delve deeper and ask searching questions to get to ‘what you really really want!’ It is essential that your goals are challenging, achievable and measurable. Are you in earnest, seek this very minute. Whatever you can do, or dream you can, begin it. Boldness has genius, power and magic in it. Just begin and the mind grows heated. Continue and the task will be completed. SPECIFIC – This can be the most challenging part of the process, requiring deep questioning to arrive at one clear phrase or sentence which is personal and positive so that it fires the imagination. AGREED – Goals should be written down. They must be congruent with your personal values and beliefs and they must be morally and legally acceptable. There should be an understanding of why your goals are important to you. Of course, just setting goals will improve nothing unless there is a commitment to action. Part of the process must be a set of actions that you need to take in order to achieve your goals. REALISTIC – There is nothing to be gained by setting goals which are not achievable. If you are a heavy smoker, very overweight and not used to physical training, would it be realistic to set a goal to compete in next years Olympic games? TIMED – All goals should have a start date date and a finish date in order to focus the mind and fire the imagination. It may also be useful to set specific ‘step goals’ along the way in order to measure progress towards the end goal and fulfilment. Going through life without goals is like trying to sail a boat without a rudder. You will be at the mercy of outside forces controlling your destiny for you. How often have you heard the phrase ‘Fail to plan and you plan to fail’ ? Take all the time you need to set meaningful goals which have emotional power for you, then take action to achieve your dreams. One of the most consistent themes of my life has been a profound belief in the value of life long learning. We live is a world of such rapid change across all facets of our lives that unless we make a positive decision to keep up, we can be left feeling overwhelmed by the world around us. Real learning has to be a conscious effort, since we are daily bombarded by so much information that we can easily drift along observing life at a very shallow level. Learning can come from books or from academia but it certainly does not have to. The internet provides a wealth of learning opportunities and is without doubt the most powerful and flexible research tool which has ever existed. The Internet is also a truly universal tool in that it can be used regardless of national boundaries, social class or age. It is my firm belief that we can gain priceless knowledge and skills from each other too. 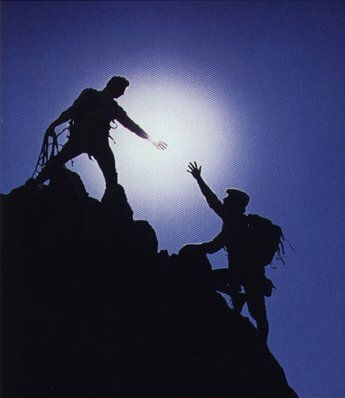 Follow those who inspire you or have earned your respect and try to learn from them. Maybe they have the wisdom of years, experience of life or, success in their chosen endeavors. Above all surround yourself with positive, purposeful, passionate people. I am still learning from people like this all the time! 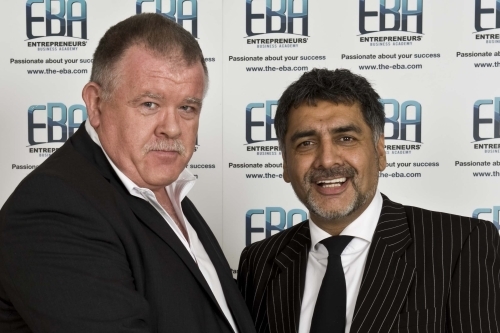 This last weekend I had the good fortune to attend an event in London hosted by the Entrepreneurs Business Academy (EBA). The speakers were all millionaire business men and women who have chosen to share their success with others by passing on their knowledge and considerable experience. I learned a lot by listening to these people and I look forward to working with some of them in the coming months. The most charismatic of the group was the millionaire ‘Dragon’ James Caan who shared his own remarkable story with us. Here is a man who is truly passionate about what he does and who is so much more than just a TV personality! I could not write about Learning and not set some homework so here are your 3 tasks! First if you have enjoyed reading this add a comment or any questions you might have? Second. Google The EBA and learn more about their work and events. Lastly check out the Wikepedia entry for James Caan to see why I admire the man. I am often asked what Life Coaching is, and so I have decided to use this blog to try to answer this question. Coaching means many things to different people. On the front of my website I posted a vision statement summarising what is important to me about coaching, but I accept that this still needs a simpler, more basic definition. The origin for this use of the word may go as far back as the horse drawn coach which transported people from one place to another. At its heart coaching is about transporting you from where you are now to a better future. We also accept the use of the word in the sports performance context where a specialist will support and encourage the athlete to be the best they can be. This too is the goal of a Life Coach. One definition of Life Coaching may be that it is the application of processes which allow you to take stock of your current situation and then, by taking action, move forward to where you want to be. There are many styles of coaching, but personal coaching seeks to equip you with the tools and resources to take control of your life in any chosen direction. We should also be clear about what coaching is not. Life Coaching is not counselling, and so does not seek to interpret the past. The starting point of coaching is where you are now, not where you might have come from. Also, coaching is not a set of rules or instructions, nor is it a load of ‘expert’ advice about what you should do. Your coach will ask searching questions to draw out strategies based on the powerful resources which we each carry within us. Whatever personal challenges you may be facing, your coach will assess whether or not coaching is appropriate for you and your situation. Once this is clear, you coach will apply a variety of techniques and processes to guide you on your life changing journey to a brighter future. As a Personal Performance Coach I offer support in many areas, so if you want to talk about one-on-one coaching then contact me. If you have any questions or comments about what I have said here then please post a note here. Future blogs in this series will look at Parent Coaching, Youth Coaching, Transition Coaching, Small Business Coaching, DISC Profiling, Stress Coaching, Goal Setting, Career Coaching, Coaching for Teachers, NLP Coaching and Coaching Workshops. Welcome web friends! This is the first of a regular coaching blog, through which I aspire to inspire. I will present my thoughts and feelings about a wide range of topics related to developing human potential. Our modern world appears to press on us from all directions, but we can still take control of our own destinies and strive to be the very best we can be at whatever we choose to do. I hope this blog will be inspirational, challenging, fun and supportive. It will very much reflect who I am and what my passions are, presenting another layer of information for those who wish to use my services as a coach. I am committed to blogging at least once every week, so do look in regularly – or, better still, set up an automatic feed to keep you up to date with posts. You can also follow me on Twitter and Facebook. I also welcome feedback on anything I say so please post comments or questions and I look forward to hearing from you all!